Wet Paint by Sharmini Jayawardena . 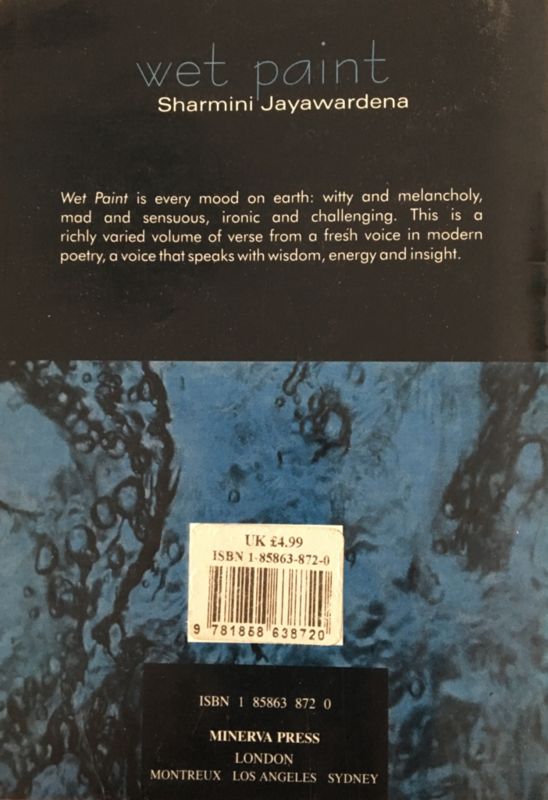 Reviewed by Alfreda de Silva*Poetry has been many things to many people. The poet Robert Lynd proclaimed it was “born under a dancing star”. A later wit declared that “a lyric and a limerick were both poems.” He obviously meant their musicality and movement and who can deny that? Someone went a step further: “………. poetry is a hard diet, fit only for the athletic among readers.” This puts the onus of readership for poetry (a comparatively small one already) squarely on the poet. 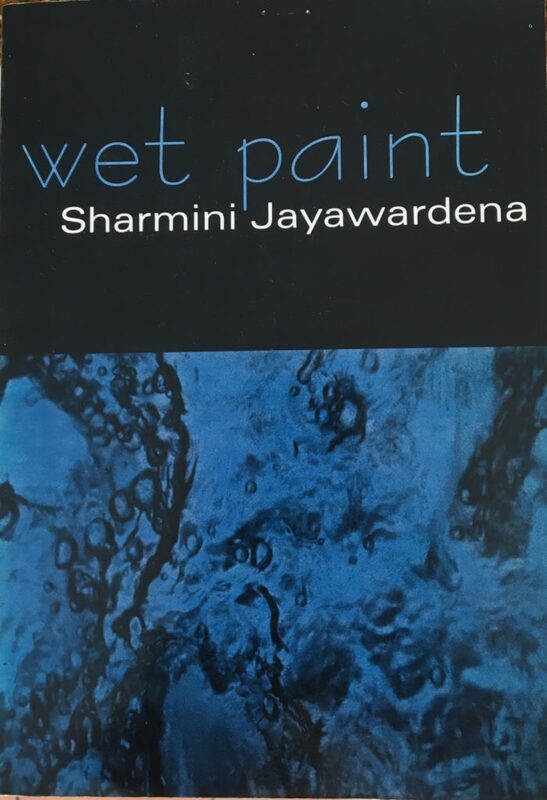 Sharmini Jayawardena’s book of poems ‘Wet Paint’ dwells on themes as varied as love and passion (fulfilled and lost), alienation, protest, violence, disillusionment, despair and other dissonances including the cold world of machines. 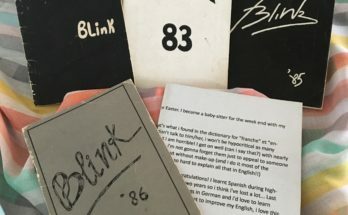 All these are viewed critically in a contemporary setting, and present a kaleidoscope of images, many of which await redress and relate to women’s issues. Down to earth and symptomatic of the times in which we live, and its ‘sci-fi’ pace, this is one of her concerns. Mirage is a poem of protest against an unfeeling mother. The last lines encapsulate the magnitude of the cruelty. 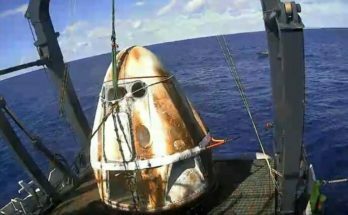 The Quasi-Corporate Player’s hypocrisy and immorality are brought out in the poem by its name. Imbroglio, a war poem brings a threatening darkness and reality to the reader. Sharmini’s well-crafted Symphony in staccato (a prose poem) speaks out daringly about a woman’s personal predicament in marriage. 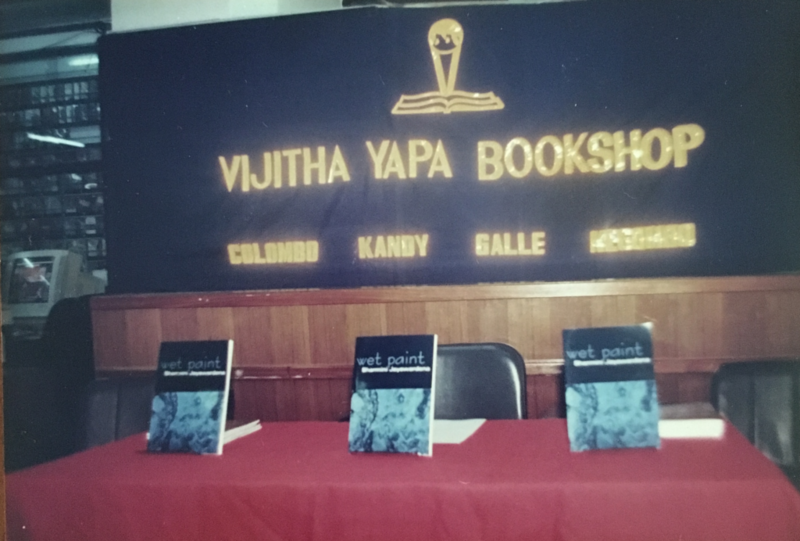 The launch of Wet Paint at Vijitha Yapa book shop ,Colombo 4 , Sri Lanka on 06 March 1999. At the launch: Professor B. 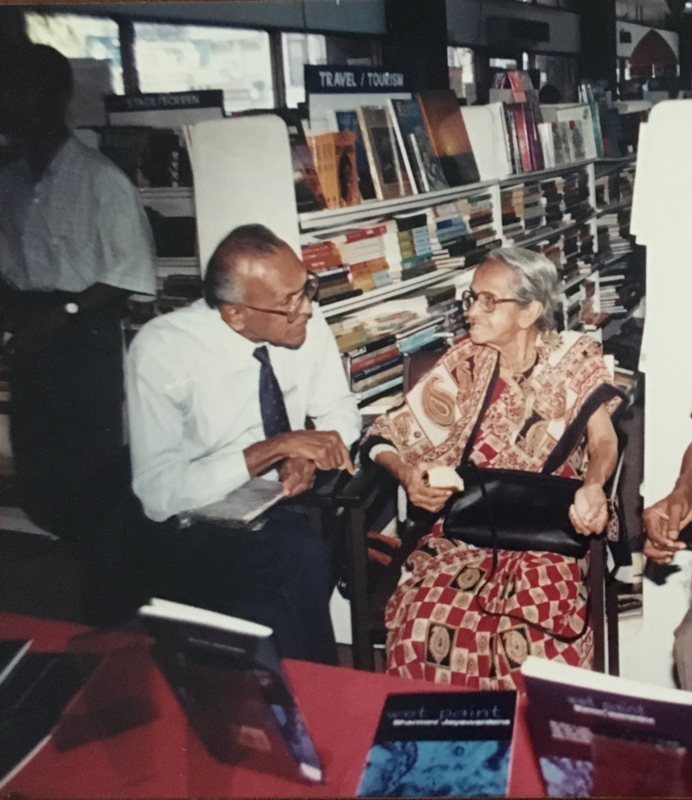 A. Abeywickrama and Mrs Irene Jayawardena.